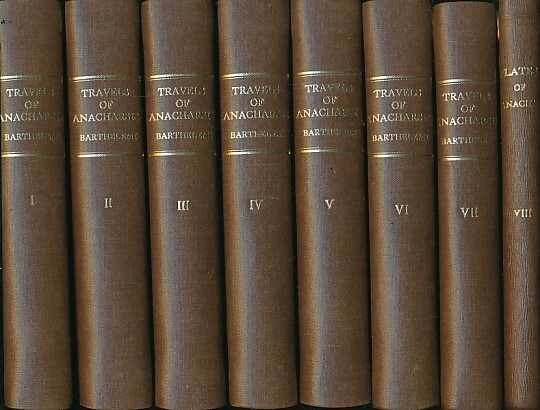 Barter Books : Barthelemi, Abbé : Travels of Anacharsis the Younger in Greece During the Middle of the Fourth Century Before the Christian Æra. 8 volume set including the plate volume containing Maps, Plans, Views and Coins Illustrative of the Geography and Antiquities of Ancient Greece. 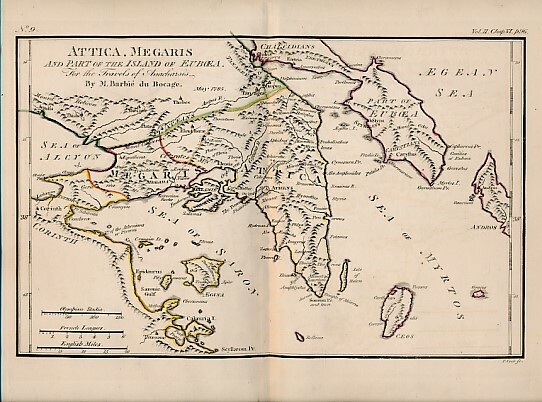 Map volume contains 31 double-page or folding plates and maps, some hand-coloured in outline. 220 x 130 mm (9 x 5 inches) - 3304pp; 51pp + 31 plates. VG : in very good condition. Rebound with new eps. Stamps on title pages. Some slight darkening to page edges. Plate 1 with repairs at outer fold, and plate 11 with some dust marking to lower edge with no impact on illustration. All maps bright and overall VG. 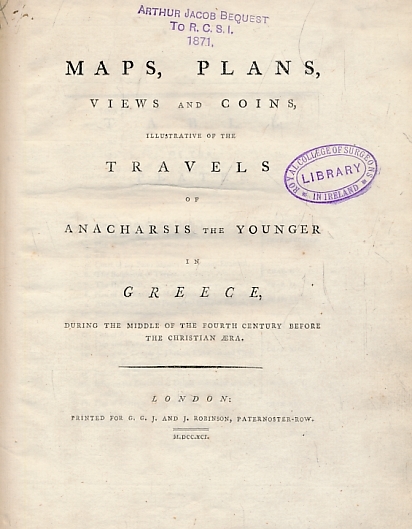 Note - volumes II and III are shown as being published in 1790.